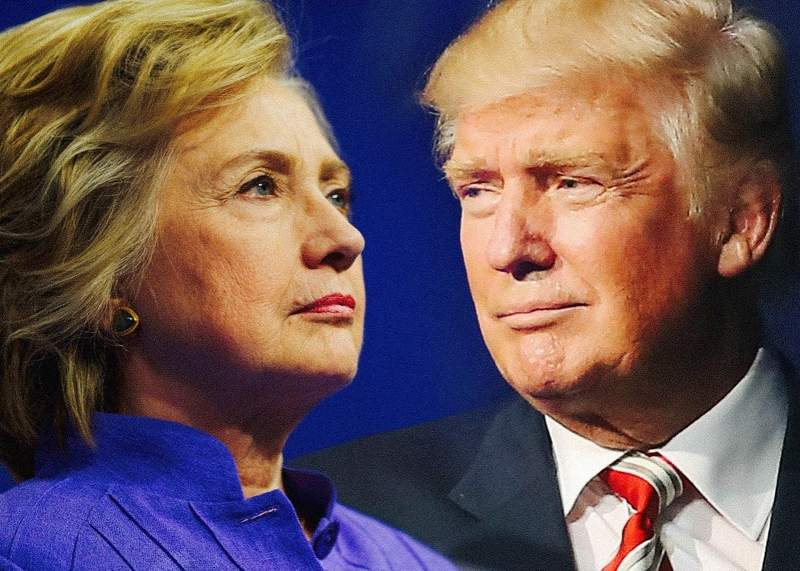 Tonight, Monday, September 26th, 2016, is the first of three presidential debates. Secretary Hillary Clinton and businessman Donald Trump, the presidential nominees for their respective parties. The Plant will be covering the debate as it unfolds. See the live fact-checking here. Called Trump’s economic policy as “Trumped-up trickle-down economics,” which she argued were the same kind of policies that created the 2008 financial crisis. She juxtaposed the sum of money Trump started his business with and her father’s working-class experience. Instantly mentioned jobs “fleeing the country.” He sounded calm and collected, but only produced shallow protectionist rhetoric. Emphasized the growth of his business because “that’s what the country needs” in response to a question about how to bring trade back. He argued that we need better trade deals, using the examples of China and Mexico. When brought back to the question of how to get jobs back, Trump said we needed to stop letting jobs leave the country. Asked why Clinton is only thinking of these solution after thirty years in politics. Clinton argued she has, citing the success of deals she supported. Attacked NAFTA and Clinton’s alleged flip-flopping on TPP. Clinton argued her positions had been robustly backed up. Both Clinton and Trump came out swinging. However, discussions on trade put Clinton on the defensive and gave Trump room to appear “presidential,” especially compared to his usual incoherence. Ranted about the necessities of companies to bring back money stranded oversees. Called Clinton a “typical politician,” saying she’s all work, no action. Supported repatriation, as well as corporate taxes. She argued for investing in the middle class and increasing taxes on the top economic tear. Nothing too exciting happened, but Clinton seemed to be gaining ground. Moderator said IRS has statedTrump is clear to release tax returns, despite a “routine” audit he claims are hindering their publication. Trump then shifted and said he will release his tax returns as soon as Clinton releases her emails. Said the emails are “disgraceful.” Regarding tax returns, Trump said you don’t learn much from tax returns, you learn more from financial statements which he released (false according to PolitiFact). He stated that owing $650,000,000 to Wall Street is not that much (note: number to be revised to ensure factuality). Said that he “takes advantage of the laws of the nation.” His obligations are to do well for himself. Trump argued that Clinton ignores the tens of thousands of people that love him, and how his business success would transfer to the presidency. Admitted she made a mistake regarding the emails and she takes responsibility. Trump was definitely on the defensive for this portion. He tried to put Clinton on the defensive regarding her emails, but she deflected the question with ease and moved on. “Race remains a significant challenge in our country,” including in the criminal justice system. Remarked on Trump’s characterization of black communities as he scoffs. She argues that safety is important, and not only is Stop and Frisk unconstitutional, it is ineffective. “Violent crime is half of what it was in 1991.” However, she points out it did disproportionately affect PoC. Clinton said common-sense gun legislation is necessary. Need comprehensive background check and pass a prohibition on buying guns for those on the no-fly list. Trump told viewers he has endorsements from various police groups. Trump brought in fear mongering, but under the guise of minority protection. Moderator noted that Stop and Frisk was ruled unconstitutional in New York because it is a form of racial profiling. Trump says Stop and Frisk is necessary because of how dangerous American cities are. Tried to pander to the African-American community by saying how badly they’ve been treated by the Democrats. Clinton had the upper-hand regarding racial issues. Trump was put on the spot particularly for his support of Stop and Frisk. Said that the Birther movement started with the Clinton 2008 campaign (false according to PolitiFact). Said Clinton didn’t produce birth certificate, whereas he did. Didn’t answer why he didn’t give it up after birth certificate was produced. Trump argued that he did a great service for the country. Emphasized how long Trump spent on the Birther movement. She tells viewers that Trump was sued for discrimination. In response, Trump said he settled that lawsuit without any admission of guilt (even though that’s exactly what happens when you settle a legal case). Trump was on the defensive and didn’t give a full answer as to why he kept questioning Obama’s place of birth. Said Putin has let loose cyber-attackers. Argued Bush made agreement as to when Iraq would leave. Only way Obama administration could have changed is with consent of Iraqi government, which they wouldn’t give. Says Bush and Obama created a vacuum when they left. Should have left troops, or taken the oil. Blames Clinton for ISIS. Says he supports NATO, but member-states need to pay their 2% share. Trump says that he did not support the Iraq war. Says narrative that he supported it as mainstream media bias. Re NATO: Emphasizes importance of Treaty. Argues we have to be prepared. Argues China, Iran, and other countries, should stop North Korea for the US. “Words matter.” Reassures allies that we have mutual defence treaties that will be honoured. Re: attack ads, “it’s not nice.” But says polls are looking good! Will you support will of the voters?